“Viral” fever and the Marketing “mauka”!!! As India kicked off its campaign to defend the Cricket World Cup with a high-octane league match with its arch rival Pakistan, for Star Sports it was a perfect ‘mauka’(opportunity) to milk the moment. And how it did!!! With a very interesting commercial which is now part of marketing folklore showing a Pakistani fan eagerly waiting for the mauka to celebrate a Pakistani win in vain in the last 5 world cup encounters. The ad had all the ingredients to make it “viral worthy”. Soon the commercial indeed went viral and is even today much talked about. Newspapers wrote about the ad, online editions carried the link, In YouTube the ad got a few million hits, the ad got shared in social media platforms like Twitter, Facebook, WhatsApp,… and also got written about in innumerable blogs,… No wonder the makers decided to spin the one ad to a ‘Mauka Mauka’ series as seen thro’ the eyes of the same Pak fan for all India matches so far. If you notice, while the 1st spot (the India-Pakistan) one was shown again and again, the subsequent ones were just aired few times just enough to carry the story further. Because by now the Mauka fever had become viral and you, me and all of us became Star Sports’ unpaid brand ambassadors by sharing the every new ‘Mauka’ spot as soon as it was aired! And that is the point I am trying to drive in this post. For a marketer trying to promote his/her brand it makes sense to make the commercial “viral worthy”, sit back and relax as consumers multiply the reach of the brand. For small brands with limited budgets, this approach comes as a panacea to achieve high share of voice with low ad spends. And for big brands this gives the potential to get more bang for the buck! This (to make their ads viral worthy) seems to be a very simplistic and obvious solution in front of marketers. However a casual review of the TVCs which we see day in and day reveals that this approach may not be so obvious. In a typical day except for 1 or 2 TVCs which are viral worthy the others are mostly the usual drivel. 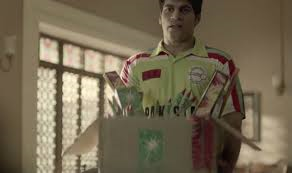 For example, on the same day of the Ind-Pak match there was just another ad which was viral worthy. That was the one for Fevi kwik – again smartly playing with emotions coinciding with the Ind-Pak encounter while at the same time driving home the brand’s promise – ‘Todo nahi, Jodo’. Brilliant stuff. 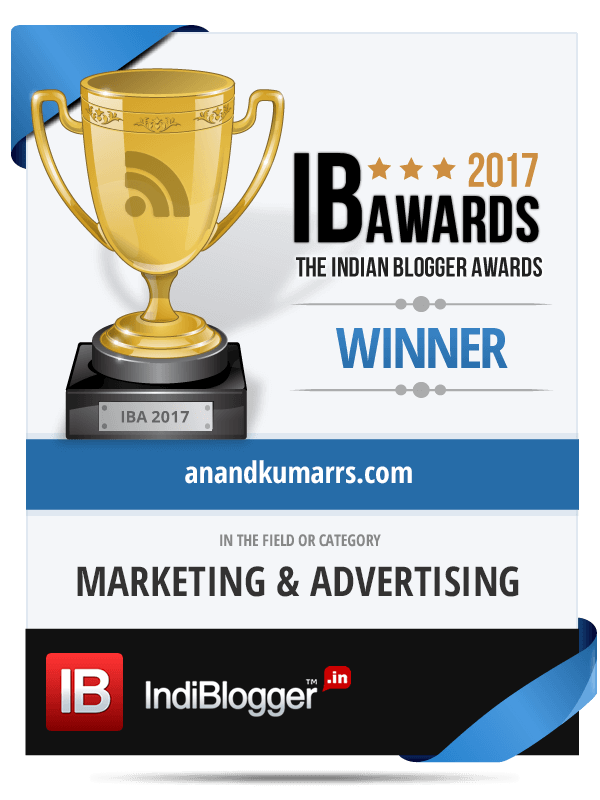 TVCs with stories that kick up a storm (Eg: Tanishq ad featuring 2nd marriage, the Airtel showing the wife as the husband’s boss at work,…). Typically ads that go against the grain gets talked about on and on in social media platforms and helps to retain brand presence. Usually ads spreading Ind-Pak across the border bonhomie (Google spot, the recent Fevi kwik commercial, the Coco Cola Ind-Pak initiative,..) In my experience Ind-Pak theme is usually a sure shot recipe for getting your ad go viral!!! And ads which may use one, two or more ploys or all of the above! And the best part is some of the good viral worthy ads spawn off spoofs (as seen in the Mauka series) and other versions (did you know a slow motion version of the Ind-Pak fevikwik ad was created and uploaded by somebody which is really funny) as well which keeps the brand top of the mind for extended periods! For small/start up agencies/production houses one such viral campaign is enough to leap frog them to stardom. Who had heard the name – Bubblewrap Films before the Mauka, Mauka campaign?? Or for that matter who knew Vishal Malhotra the model who is the Pakistani fan in the campaign a month ago?? Now I do!! In the pre social media/smart phone/internet days a good ad will be just talked about may be by a few people who are interested in the subject. In these times, they don’t get talked about but they get shared, and shared many times over across many platforms. Just one note of caution. It’s not just ads which are viralling today. Songs, documentaries, jokes and so many sundry stuff. So, soon it will become a battle to win in the viral space as well. Postscript: It’s another matter that an Ind-Pak encounter that too in a World Cup doesn’t need promotion at all. But Star Sports had to promote it due its obligation/commitment to its sponsors, advertisers,.. I guess. Having said all this, I do feel that the Mauka, Mauka campaign is now getting a tad boring. What was natural in the 1st 2/3 spots seems artificial now and is losing steam!!! So there the other lesson – Even a What an Idea, Sirji when over flogged becomes – What a boring idea, Sirji!!! Excellent post anand. Very true, Maukaa Maukaa ad they kept releasing before every match newer version. Its like star sports was able to predict accurately. All the matches India won. Hi Karthik, Thanks for the quick comment. I am told that Star sports prepares 2 versions depending upon an Indian win/defeat and use the appropriate version!!! This is called organic advertising – one just leads to another and so on. So far thankfully India have won!!! Nice post Anand. U have used the Mauka properly. Good read! !